Barely two years after independence, Congress government in UP had taken the arbitrary a d strange decision to bar Urdu as a medium of instruction in the State. As a result, the generation of Muslim students that was studying then, suffered. It was not just unconstitutional but reflected the anti-Urdu mindset of the generation of Congress leaders in UP. Even today, while Urdu is an official second language in UP, the Education board's rule stands. SP didn't fulfil the poll promise. To understand the issue of this historic injustice, read THIS POST. 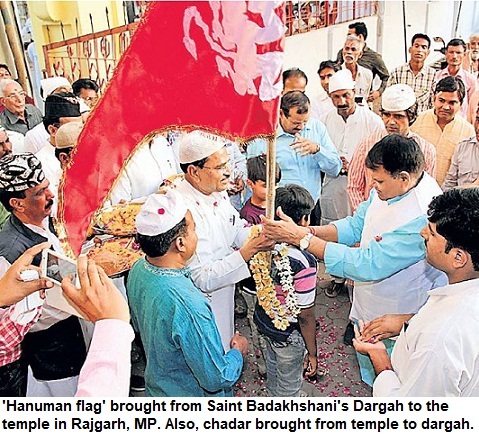 Samajwadi Party (SP) must fulfill promise made in the manifesto to open Urdu medium schools or at least change the discriminatory education board rule that doesn't permit opening these schools, which came into force in Congress rule. It is fundamental right of a child or student to be able to get education in his/her mother tongue. But Uttar Pradesh or UP is the sole state in India, where a discriminatory law of Education board said that medium of instruction can only be Hindi apart from English. As a result, UP that has nearly 30 million or 3 crore Urdu speakers, have suffered. No other state in India has made such a discriminatory law. 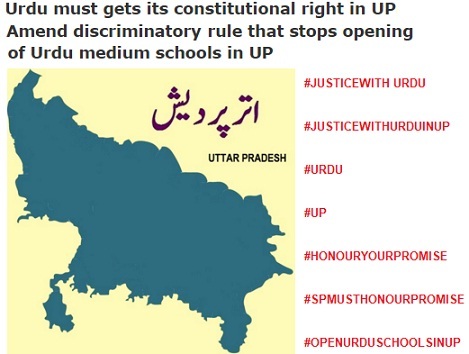 Further, Urdu is the second language in UP but this discrimination doesn't end. Hence, even private Urdu schools are not present in UP while Southern states have thousands of Urdu schools which has resulted in educational uplift of Muslims. Poor kids who can't afford public schools can, at least, go to Urdu schools. Also, they help madarsa students in transition. Above all, this is a constitutional right which is being violated.